For those seeking a great fleet vehicle, one that does the job best is always a great choice. However, if your Atlanta business is environmentally conscious, you may want to find a fleet vehicle that’s as green as can be. 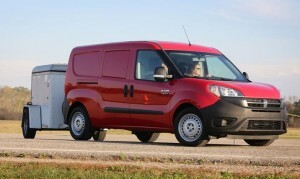 The RAM ProMaster City at Atlanta Commercial Trucks meets these criteria as the model was recently awarded with the 2016 Commercial Green Car of the Year accolade from Green Car Journal. The editors at Green Car Journal, a publication focusing on the mesh between the automotive industry and the environment, weighed all commercial vehicles in the U.S. market. While the environment attributes of each vehicle were important, the versatility, value and efficiency were also determinant factors. For this award, it wasn’t just the environmental impact of the vehicle; areas of importance to customers and business owners helped propel the RAM ProMaster City ahead of the competition. “The Ram ProMaster City not only provides the functionality and easy urban maneuverability so important to businesses and tradesmen, it does so with impressive operating efficiencies and lower environmental impact,” Ron Cogan, editor and publisher of Green Car Journal, said. This is RAM’s second consecutive green award. Last year, the 2015 RAM 1500 EcoDiesel took home honors with its 29 mpg fuel economy. For durable, reliable and powerful work vehicles with the accolades to back them up, Atlanta Commercial Trucks has the workforce vehicles Georgia needs. From the RAM 1500 Trades to the powerful 5500 Chassis Cab and the popular RAM ProMaster cargo van, we are backed up by the state’s No. 1 RAM dealer, so you know at Atlanta Commercial Trucks you’ll get the best service and expertise that we can offer. 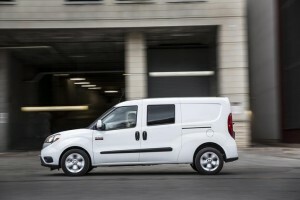 To learn more about the RAM ProMaster City, contact Atlanta Commercial Trucks online today or call us at 855-971-9571.